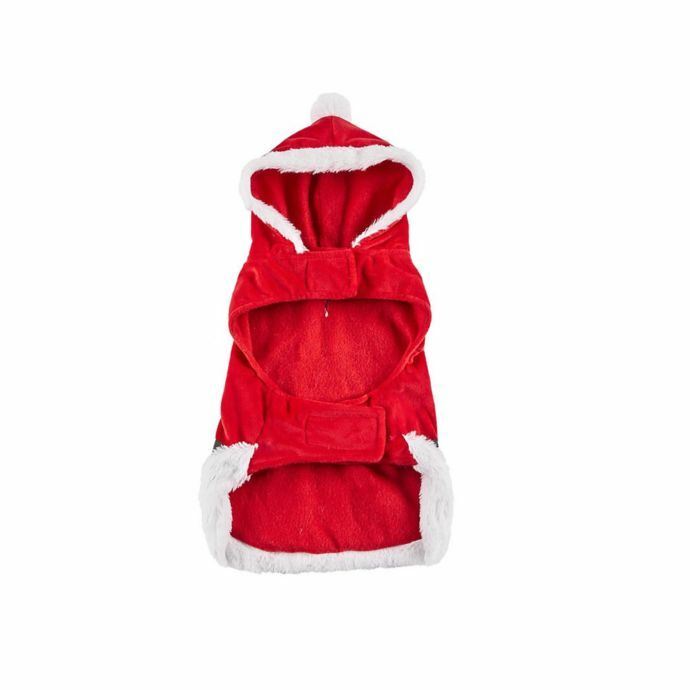 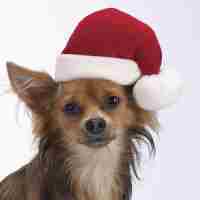 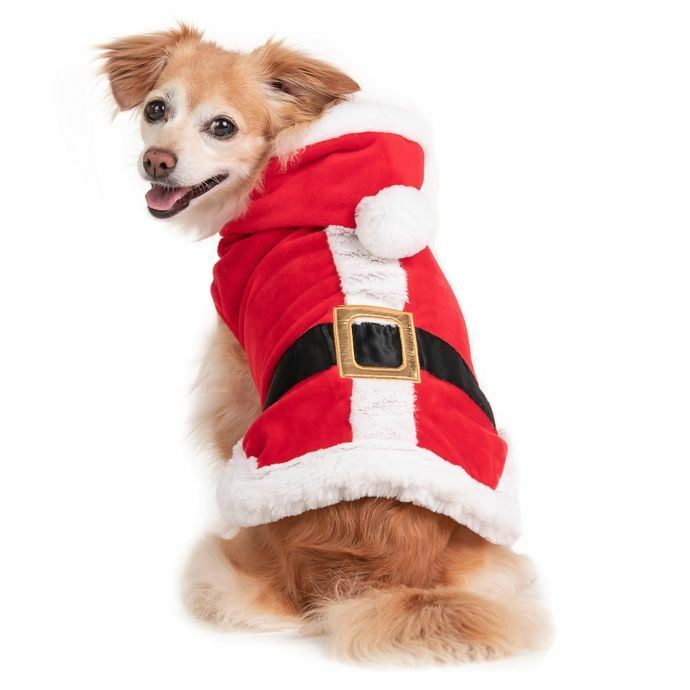 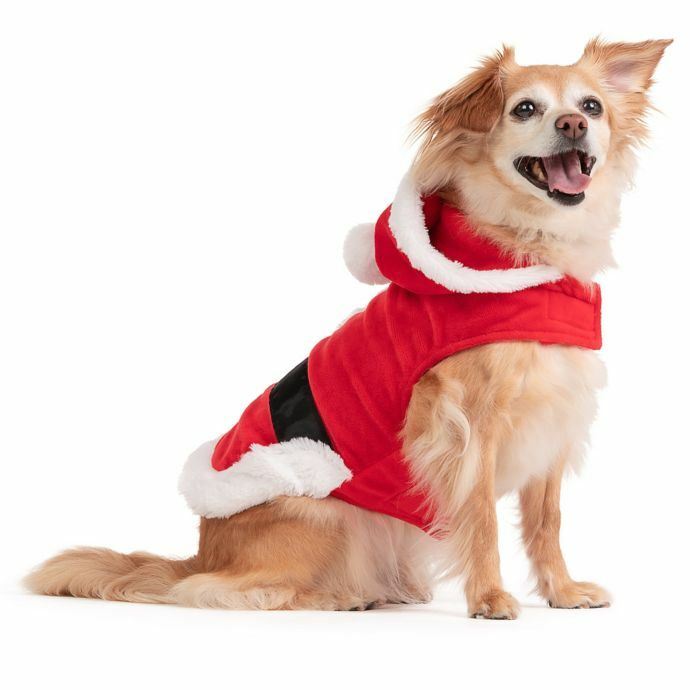 Your pup will be ready for this festive season dressed up in the Holiday Santa Claus Dog Costume. 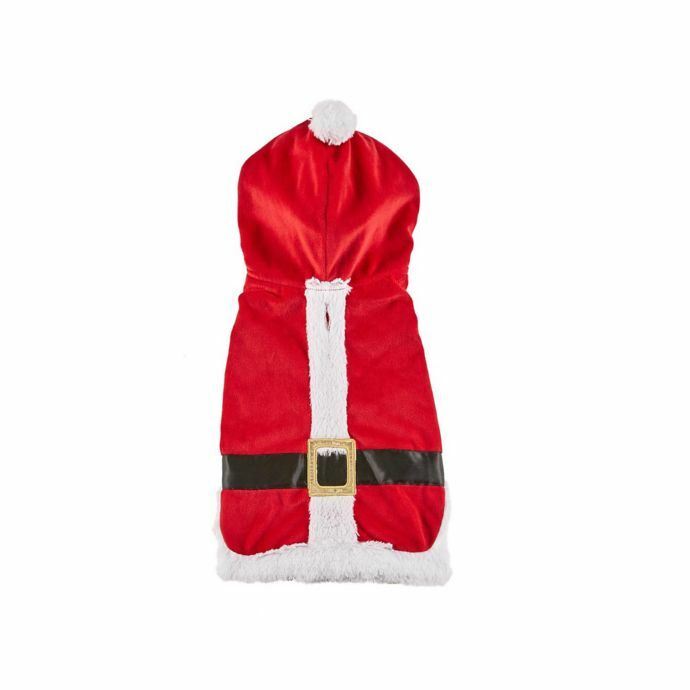 This costume is padded for comfort and has 3D detailing that will be a hit with Santa Claus himself. 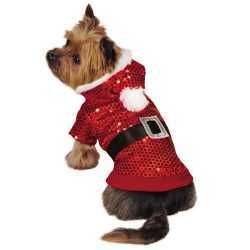 Collar slot access on back. 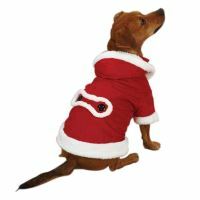 Comfy red and white material. 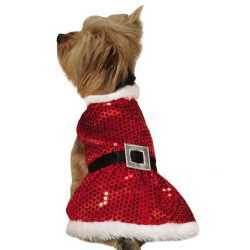 Cute gold buckle applique on back.